PHOENIX – Handling community outreach and client relations for DIRTT Environmental Solutions, a Canadian firm that manufactures in Arizona, Mary Wolf-Francis typically attends business events or pays for a service to help make industry contacts. Now she is going to work and logging on to the social network website BIEN, or Building an International Economic Network. On it, she can see profiles for companies in Arizona, Mexico and Canada and send them personal messages to create relationships that might not have been possible before. 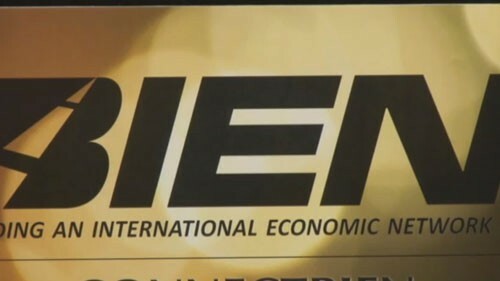 On Tuesday, the Maricopa Association of Governments formally launched BIEN (www.connectbien.com) after Wolf-Francis and others participated in a soft launch that began in April. 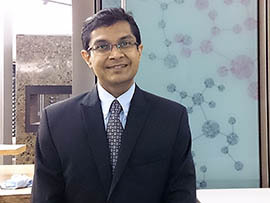 Anubhav Bagley, MAG information services manager and the site’s creator, said BIEN aims to help Arizona businesses be more competitive globally and grow. The website functions through the help of several partners, one of which is the Mexican consulate in Phoenix. “We are trying to work to improve and foster the business connection between Mexican nationals and American citizens across the border or along the border,” said Rodrigo Navarro, director of community affairs of the consulate. Further promotion will stretch all the way to Mexico City with the Arizona Trade and Investment Office that opened in early October. “We want to send the message that we have an interdependent relationship,” Navarro said. “This is a new era. We’re trying to break misconceptions about Mexicans, about Mexico and bringing in a new idea: that Mexico provides from labor force not only economic help and supplies but also a cultural, social and familial assets. A new website is connecting businesses across borders. Cronkite News reporter Jamie Warren found out how the site, connectbien.com, can help companies reach suppliers from a distance. Anubhav Bagley, the Maricopa Association of Governments' information services manager and the the website, said BIEN aims to help Arizona businesses be more competitive globally and grow.